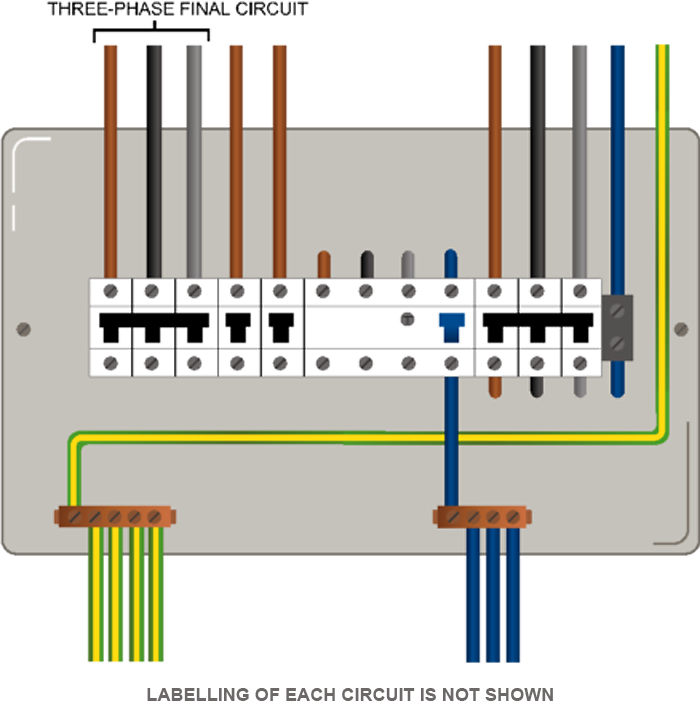 Durable and legible markings shall be provided at the interface where the new and old versions of colour code for fixed electrical wiring exists. A warning notice shall also be displayed prominently at the appropriate distribution board that controls the circuit. 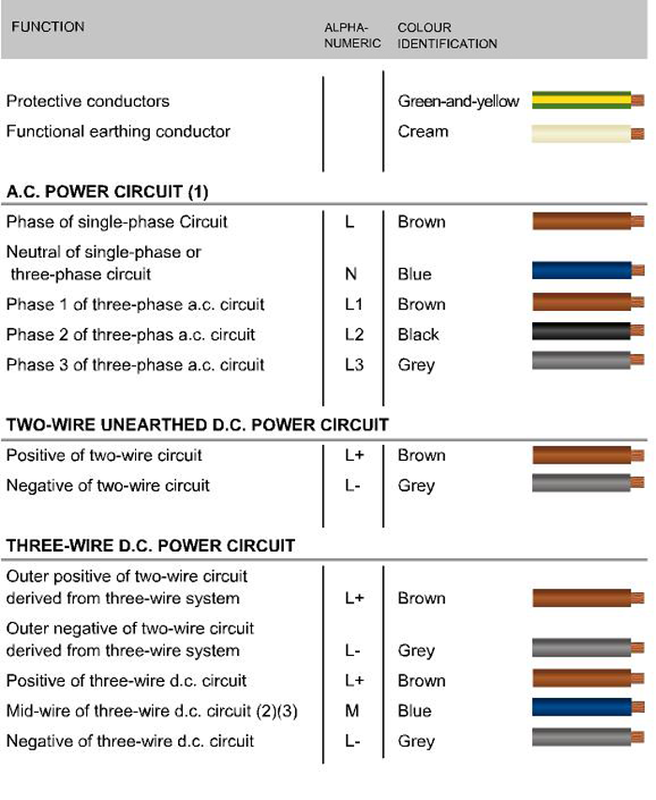 Where the existing red-coloured or yellow-coloured cable (phase conductor) is to be connected to a new brown-coloured cable (phase conductor) of the same circuit, at the interface, the existing and new circuits shall be labelled as shown below. 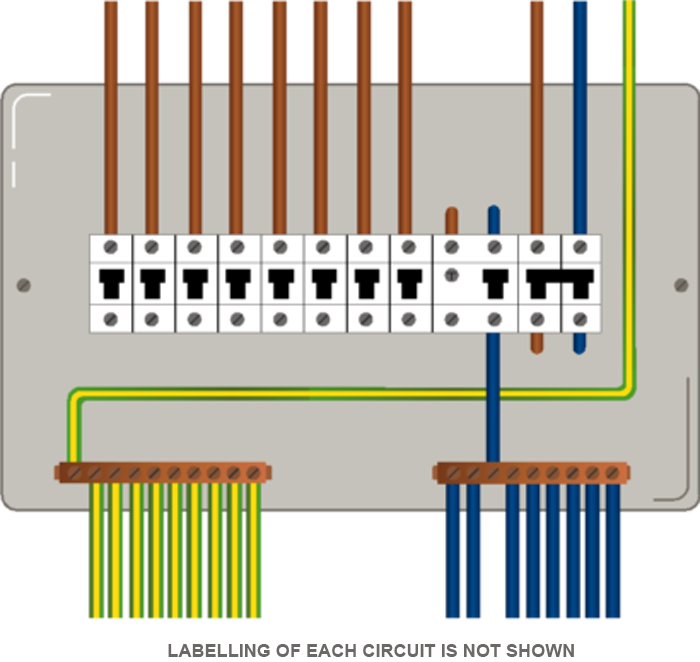 Where the existing blue-coloured cable (phase conductor) is to be connected to a new brown-colured cable (phase conductor) of the same circuit, at the interface, the existing blue-colured cable shall be labelled and provided with brown-coloured sleeve as shown to avoid confusion. 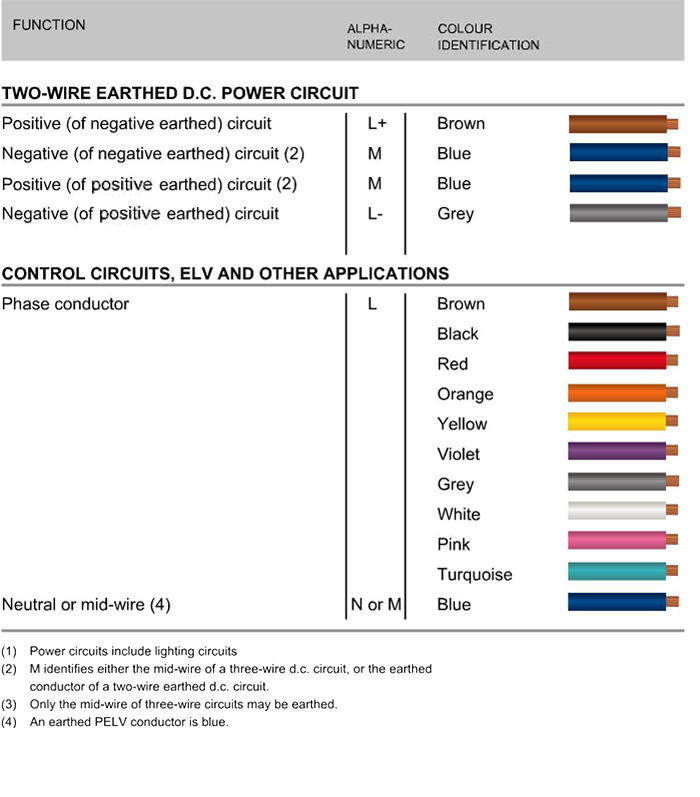 Where new circuits using the new colour code are to be added in existing electrical installations installed having circuits in old cable colour code, the licensed electrical worker responsible for the work will have to do the necessary colour marking on the cables and place a warning notice (see below) on the relevant distribution boards. NOTE: Warning Notice shall have words in black against a yellow background. 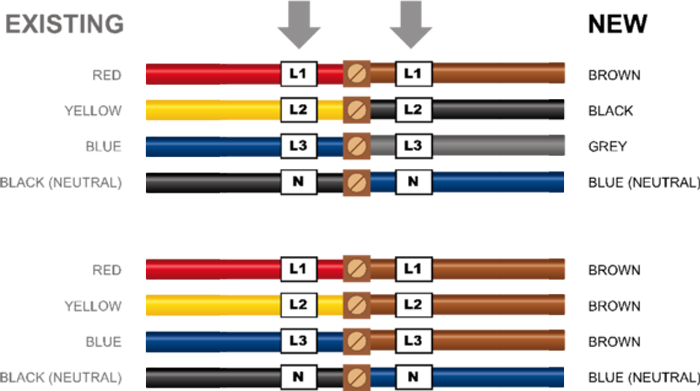 Please refer to the "Supplementary guide to revised cable colour code" published by SPRING Singapore for more information on colour marking requirements. A copy of the "Supplementary guide to revised cable colour code" may be purchased from Toppan Leefung Pte Ltd at 1 Kim Seng Promenade, #18-01 Great World City East Tower, Singapore 237994.